Soon enough, your child will be running, skipping and looking behind at her chasing mama who fondly remembers when her little baby was too little to walk. 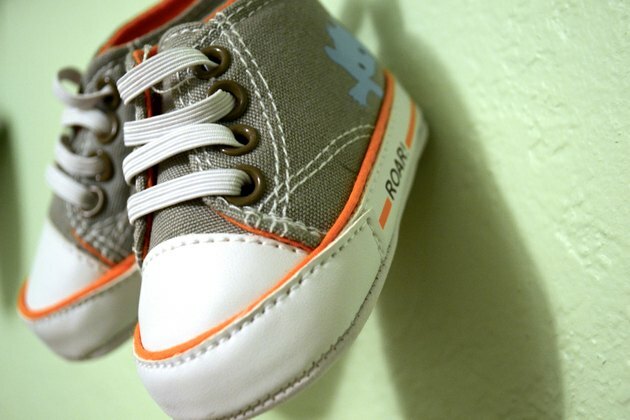 For those littlest ones, shoes are usually for looks and to keep their cute, little footsies warm. You surely, though, don’t want to buy shoes that are too tiny for your baby’s feet. Ouch! And, for the walkers, you don’t want her feet to swim in the shoes either; she is more likely to trip in shoes that are too big. Fortunately, it’s easy to size your baby’s shoes at home. Ideally, baby shoes should be soft, breathable and flexible. And, if she is walking, they should have non-skid soles. 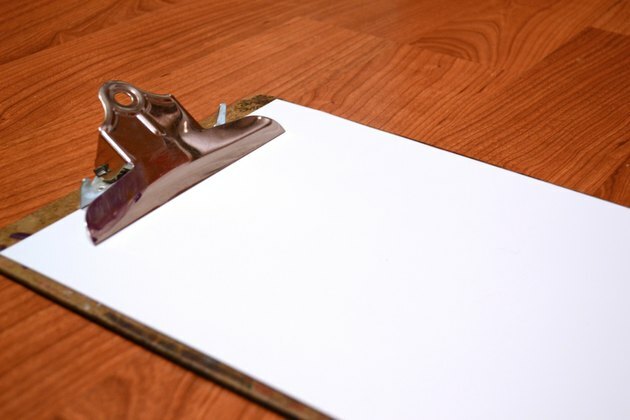 Secure a piece of paper on a clipboard or tape it to another hard, portable surface. Extend the baby’s leg and hold the foot up to the paper. Extend the baby’s foot and toes as best as possible if she is curling her toes under or clenching the foot in an arched position. If socks are to be worn with the shoes, keep a pair on. Draw a line at the bottom of the heel and the top above the tallest toe. Repeat for the other foot. 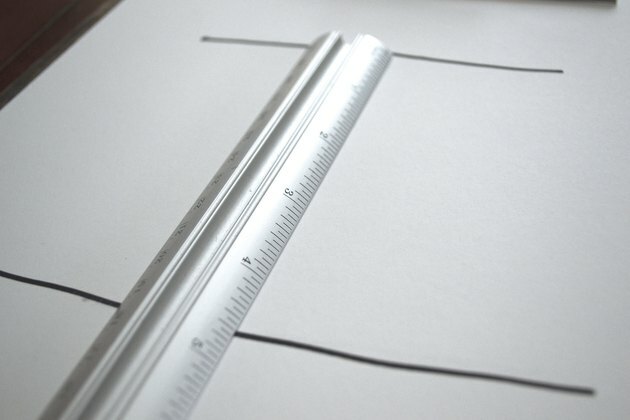 Measure the distance between the two lines in inches using a ruler. Use the longer of the two measurements. Always fit shoes for the largest foot. 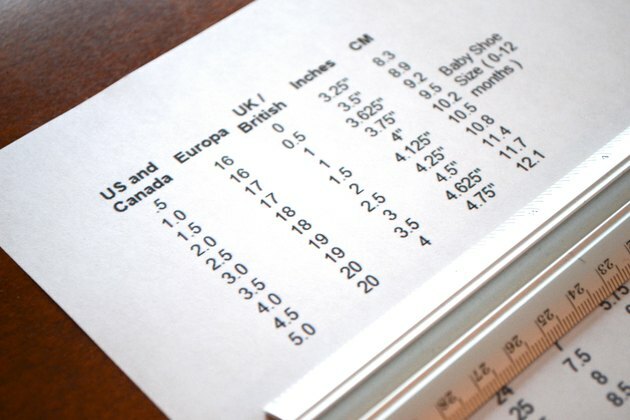 Use this measurement in a baby shoe chart to determine the baby's shoe size. For example, a baby’s foot that is 3 1/2 inches long will need a Size 1 shoe. Measure your baby’s feet at the end of the day when her feet are more likely to be swollen and at their largest size. Slide your pinky between the heel and the back of the shoe. You should be able to squeeze it in. If it easily fits without any effort, the shoes are too big. If you can't squeeze it in, the shoes are too small. With your baby’s shoes on, push on the shoe just above the longest toe. There should be about one finger-widths room between that toe and the top of the shoe.